As part of the Battle for Azeroth expansion, Blizzard has raised the level cap in World of Warcraft from 110 to 120. With the incredible popularity of the MMO clearly it wouldn’t take long for experienced players to reach this new level cap, but one player has outdone himself and hit level 120 in less than five hours. 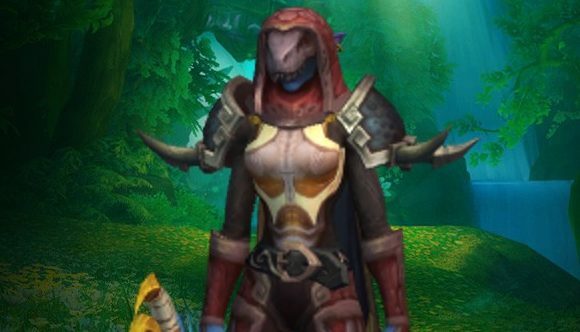 Player Gingi, from esports organisation Method, became the first to reach the cap in Battle for Azeroth with his Balance Druid character Luigingi. He did it in around four hours and 17 minutes, with the assistance of fellow Method players Meeres and Deepshades – who also hit level 120 shortly afterwards. Before he broke the record, Gingi threw a little friendly shade towards fellow player Athene, who describes himself as the “world’s most famous record-breaking professional gamer,” with the words “you ready Athene?” along with a few mocking emoticons. Athene wished him good luck, and tweeted “THE WORLD FIRST LVL 120 RACE HAS BEGUN.” Guess he lost. Gingi’s win also beats the levelling record of fellow Method player Fragrance, who reached level 110 in World of Warcraft’s previous Legion expansion in five hours 28 minutes.